In an age of digital media, it's about time you turned your DVD collection into something you can watch from any device. I've got way too many DVDs in my house. I've been gathering them for years and years: They take up nearly half a wall in my living room, and that's after giving away about half my collection. Funny thing is, I rarely watch my DVDs. It takes so much more effort than just turning on my Apple TV and hitting "play." But that said, I do have a few hundred DVDs that I can't watch on any of my streaming services — So, I figured it was time to digitize my DVD collection so that I could stream my movies on my Apple TV. If you don't want to go through the rigamarole of ripping your DVD collection yourself, you can use Vudu and Movies Anywhere to buy low-cost digital versions of many (but not all) of your movies, which you can stream on Apple TV, Amazon Fire TV, and Google Play supported devices. Note: This guide is for digitizing a DVD collection; Please check out our separate guide for digitizing your Blu-Ray discs. Laws vary on whether or not it's considered fair use to rip a DVD you own for backup and personal use, and since Apple is a U.S. company and needs to maintain relationships with U.S. studios for iTunes movies and TV releases, you can't just rip a DVD to your the Mac the way you can with a CD. Instead, you have to use third-party software to make it happen. When looking for the best software to digitize your DVDs, make sure it includes copyright protection removal for Content Scramble System (CSS), which is the most popular — though not the only — copyright protection method. And while it should go without saying, we don't endorse using the methods below to steal movies you don't own. Don't be a jerk. Once you're all set with a compatible DVD drive for your movies, the most important step when digitizing your DVD collection is finding the right software. I just recently tried out this software, and I'm very pleased with how easy it is to use. It looks a little intimidating because there are a lot of options to choose from out of the gate. But, if you trust the software's default settings, you can just select the source (your DVD) and click RUN. I do suggest noting the destination folder, so you know where to look it when it's finished. Where apps like Handbrake default to saving to your Desktop, MacX DVD Ripper saves it to your Movies folder under Mac Video Library. Your destination folder will look something like this: /Users/yourusername/Movies/Mac Video Library. MacX DVD Ripper provides many options for converting your DVD collection to digital files, including selecting the type of device where you'll be playing the final file (i.e. iPhone, iPad, or Apple TV). You can also rip the full ISO image — a nice option for more advanced users. The one downside: MacX DVD Ripper takes forever to rip a DVD — much longer than Handbrake. If you're trying to digitize a collection of hundreds of DVDs, you're not going to want to take hours to rip one. You can download a trial of MacX DVD Ripper for free, but you can only use it with very limited actions. It normally costs $59.95, but is reduced to only $39.95 temporarily. MacTheRipper is likely the longest-lived DVD ripper on the market: I've downloaded and used MTR a handful of times and it is a fantastic piece of software if you need to go next-level with digitizing your DVD collection. It's got all kinds of incredible features that make it possible for you to turn your DVD disc into a digital file, and you can really customize how you want it to rip. But it's complicated. I couldn't figure out how to rip a DVD when I first started using it: I had to watch half-a-dozen help videos, and still don't completely understand the process. I do think it's worthwhile if you're looking for a more advanced way to digitize your DVD collection, but the user interface is abysmal. You can download a demo version of MacTheRipper 5 from MacUpdate (click the "Download" button right under the MTR banner. It's a little confusing because there are about a half-dozen "download" buttons on that page). If you want the full version, however, you'll have to email the developer directly. He will email you back with instructions on how to send him a "gift" via PayPal, at which point he will send you back a license key. RipIt is another popular choice for digitizing your DVDs. It is very easy to use and you can quickly rip complete archives of your DVDs. You can also compress the DVD files if you want to send them to your iPhone and save some space. I like that this is a set-it-and-forget-it kind of software. Just load your DVD and click "Compress" (you have to compress it in order to make it compatible with iTunes, otherwise, it just makes a .dvdmedia file). RipIt does the rest of the work. It doesn't have as many features as MacX DVD Ripper, and especially not as many as MTR, but it's also a lot less expensive. The full version costs just $24.95, and you can try up to 10 DVD rips before you buy it. Once you've ripped a DVD, you'll have to do something with the digital file that you've created. I suggest sending it to iTunes, where you can access it from Apple TV or another computer via Home Sharing. Make sure your file is compatible with iTunes (.mp4, .mov.m4v) and then, all you have to do is grab the file from its original source on your hard drive and drag it into the movies section of iTunes. It will appear in your Home Videos section. It's that easy. If you want to convert your movie to something compatible with a specific device, make sure you've got that set up in your ripper program, or you could use an after-rip program like Smart Converter Pro to convert it to a file compatible with Apple TV, iPhone, or iPad. 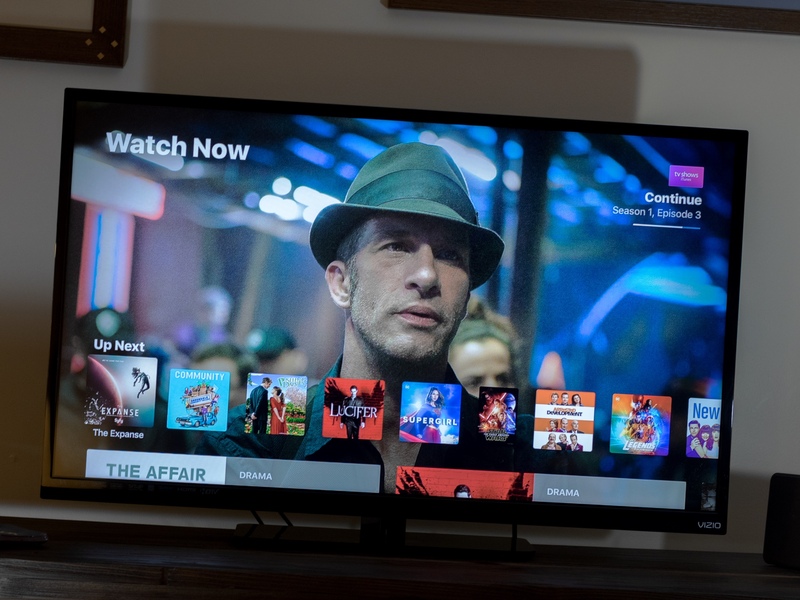 You can easily access your movies on Apple TV thanks to Home Sharing. Just open the Computers app on Apple TV, go to Home Videos, and select the movie you want to watch. If you don't want to use iTunes, you can also use Plex. It is a fantastic alternative that gives you access to your movies from a multitude of platforms (including Fire TV and Roku if you're not part of the Apple ecosystem). How do you digitize your DVDs? Do you digitize your DVDs? If so, what's your process? Have you just stopped buying DVDs altogether and only download digital movies, instead? Updated January 2018: Removed Handbrake because it does not officially support macOS High Sierra and still needs a Terminal code to add libdvdcss, which also breaks some important security protections on macOS.